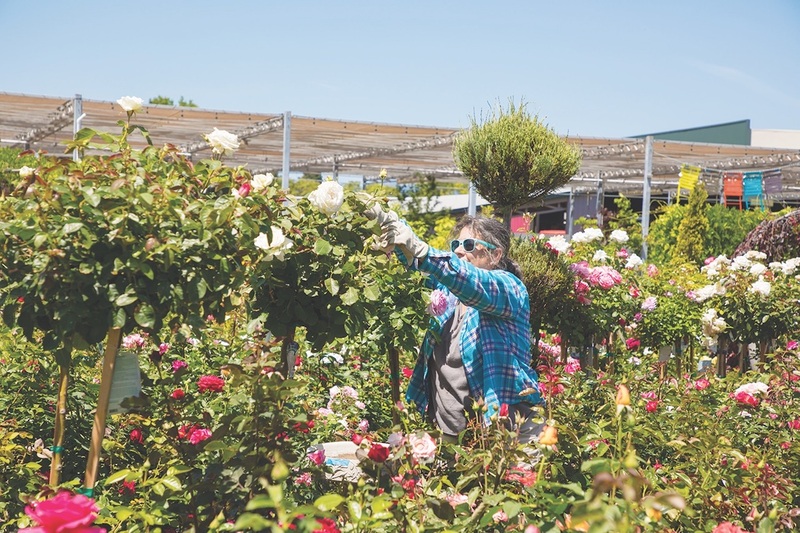 In its stores and in its communities, below the ground and above the ground, Central Valley strives to build on a solid foundation that is deeply rooted in buildings and farms of all types in Northern California. 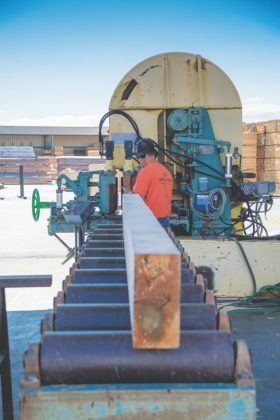 Now in its 63rd year, Central Valley’s heritage began with a single lumberyard that expanded to meet the needs of its region, and its people. Today, it reflects the requirements of the region’s builders, farmers, and vineyards. Located in the heart of Napa Valley, Central Valley first took root after World War II, and was purchased by the grandparents of Steve Patterson, the current President and CEO. 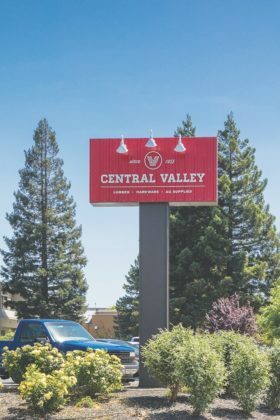 Surviving and thriving over several generations, Central Valley gained its original name as Central Valley Builders Supply because it was based in St. Helena, Calif., in the center of Napa Valley. The growth of the business was a family affair that benefitted from the solid leadership of Patterson’s entrepreneurial grandfather, and then his father. His mother also served as President and CEO between 1992 and 2004 and continues to play an active role on the Board of Directors today. “They started out with three employees, one truck, and one forklift. Like a lot of businesses then, they put a lot of blood, sweat and tears into it,” Steve Patterson says of his family. 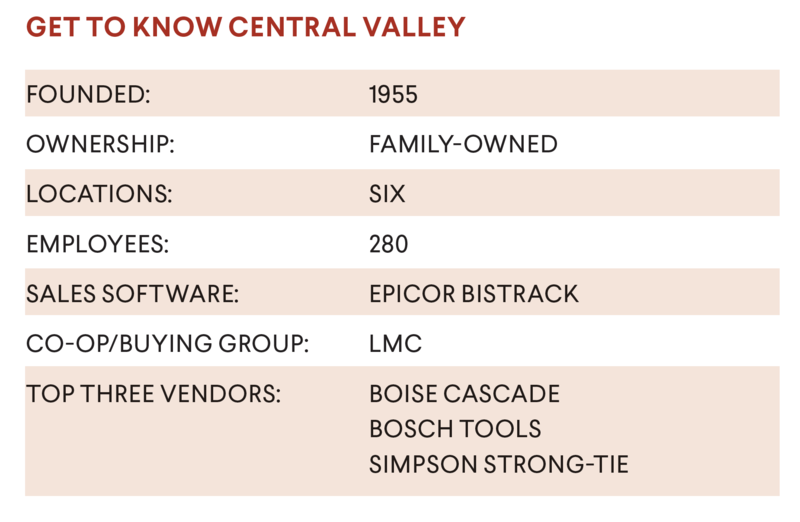 Since those early days, Central Valley has expanded to six locations. Four of them—St. Helena, Napa, American Canyon, and Woodland—are full-line lumberyards. The 13-acre American Canyon location also serves as a distribution center and production yard, and a gateway to the greater San Francisco Bay Area. This year, the company’s growth expanded to include the addition of a 35,000 square foot pre-fabricated wall manufacturing facility based in Yolo County. The wall plant was designed to support and expedite the building and redevelopment of the area following dramatic and devastating fires in Sonoma and Napa Counties. In the heart of Wine Country, “you’re either dealing with builders or a winery,” Patterson says. “There’s a little product overlap, but a very different business cycle. One may lead while the other lags.” But both are subject to weather cycles and the need to rebuild following the ravages of wildfires. 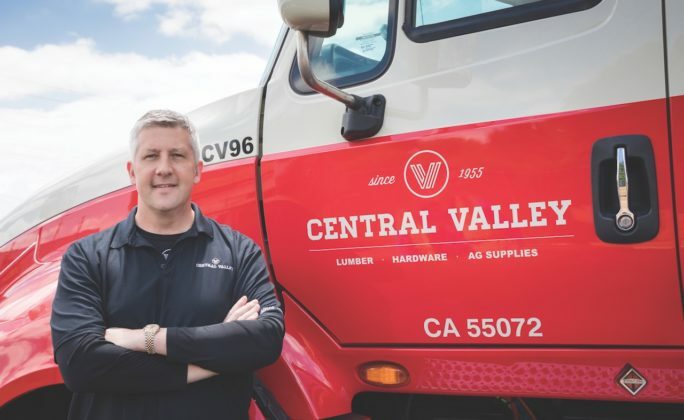 While Central Valley works with two very diverse customer bases in the builders and farmers it serves, the customer segments behave in similar fashion, so the company has learned from each industry how to help serve the other. Central Valley has uniquely positioned itself at that intersection as “we have people who can speak the language and walk the talk in both,” Patterson says. The agricultural side of Central Valley’s business at all the facilities makes up about 15% of the company’s overall revenue. 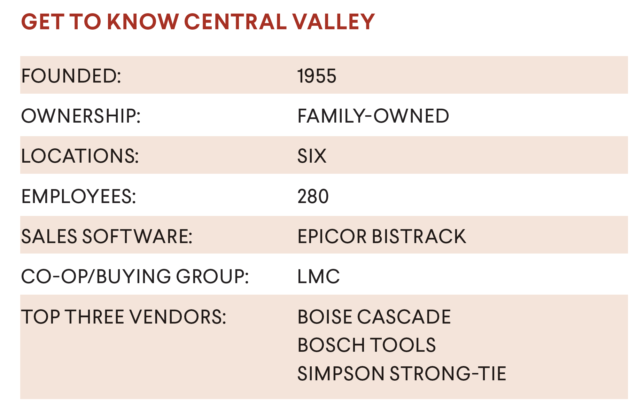 Coupled with business expertise that serves the region, Central Valley has also maintained a philosophy of remaining integrated into the communities where it does business. One of the principles of this approach is that Central Valley locations are customer-focused, multicultural, and diverse, with employees who are diligent about learning and understanding local needs. This approach starts with the initial expectation that business representatives know their customers by name. This philosophy is also integrated into Central Valley’s product selection and hiring practices, with merchandise tailored to specific markets, and services provided in several languages. Serving both Sonoma and Napa counties, which were hard hit by wildfires, Patterson says he has been personally motivated to get people back into homes. Patterson went directly to customers to help design a solution. With an ongoing push for construction and rebuilding, and a need to have ready-made materials that would decrease the need for added labor—which was already in short supply—Central Valley launched a manufactured wall plant in 2018. “We looked for ways to increase our customers’ productivity at the jobsite and found that there were some things we could do internally,” Patterson said. “I found we could shorten the timelines for our customers by providing pre-constructed walls. That way, they could be more efficient in their use of time and build more homes with virtually the same number of people.” This is an area of the business that continues to grow, with heightened demand and a continued innovative approach that is exploring ways to further expand productivity through technology. Central Valley continues to provide a solid business model that engages and supports its employees and provides a positive work environment. The company continues to expand and has more than tripled since the end of the Great Recession through organic growth. 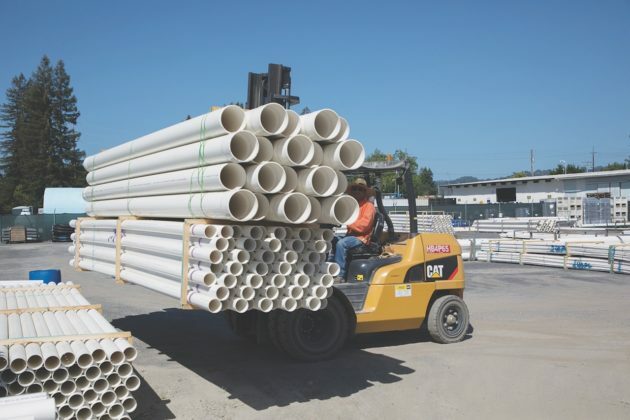 Now with its announcement that it has entered into a definitive agreement to purchase the 100-year old Solano County-based building supply company Foster Lumber, Central Valley is now growing through acquisition. With California-wide labor shortages, Central Valley is active in its intent to be the employer of choice for its 280 employees. 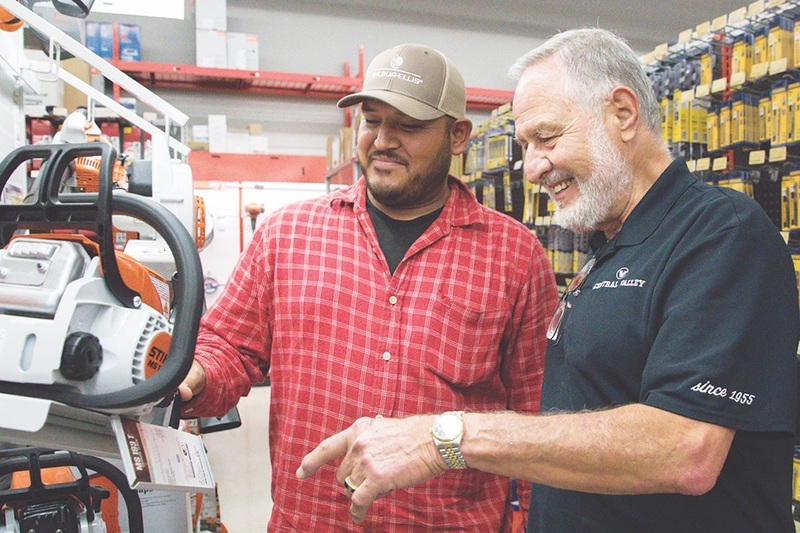 While temporary employees fill out seasonal fluctuation, the continued growth of the customer base has supported the company’s role in building jobs in the area. The company has been growing its economic impact in the area, and has bolstered revenues as well, finishing out 2017 with $117 million in revenue and a forecast of $140 million in 2018. It’s a healthy growth, Patterson admits, which he attributes to two things: First, the expansion of the customer base with an increase in building jobs. Second, revenue growth fueled in part by materials inflation. “Everybody has had price increases. The key is that we also do pay attention to our units. We see how much we ‘really grow’ and we always compare our growth to how much we’re growing in terms of units shipped.” Patterson says his company works with an outside firm to help forecast revenues, and he does see some headwinds going into 2019—namely, interest rates, inflation, and housing affordability. The key to Central Valley’s continued growth, he says, is the company’s ability to focus on the reality of the builder customers in an area of both increasing home prices and the rebuilding needs in a region affected by fires. While many business owners intuitively know that customers appreciate being greeted by their first name, Central Valley closely monitors the data in order to continue to improve customer service. In the midst of its rebranding, Central Valley invited customers to provide input, and quickly learned that those who reacted most positively did so because they enjoyed a first-name basis relationship. “We strive to do best by our customers. We love sharing what we know. We believe in doing the best that we can in terms of how we respond to customer concerns,” Patterson explains. The company’s personal connection with customers is also being instilled in the next generation of Central Valley team members. Customer service, job satisfaction, and the opportunity to make a difference in the community while also making a good living, is important to the team. Actively participating in the communities it serves is very important to Central Valley. To codify this, it joined the Pledge 1% initiative. Today, Central Valley donates 2% of its profits to help build strong families and affordable housing. The company offers paid volunteer time—an opportunity to take time off, get paid for it, and volunteer in their community with an organization aligned with its philanthropic focus. Through the program, staff at Central Valley have helped with Habitat for Humanity builds, and many more programs. “Sometimes it’s responding to a crisis in the community,” Patterson says. “In response to the fires, we donated store profits for select days, and worked with one of our vendors to supply food and clothing to fire victims. “These are the people who patronize our stores and work at our facilities. Affordable housing in our communities is difficult. In our area especially for the average person. We do what we can to help that,” he says.